1. It is rich in oleic acid which lowers bad cholesterol (LDL) and helps to keep your cholesterol level in the healthy range and helps lower the risk of heart disease. 2. Diets containing fruits like avocados that are rich in potassium and low in sodium may reduce the risk of high blood pressure and stroke as an adequate level of potassium serum level helps your heart to pump out blood more efficiently. 3. If avocados taken with other fruits, monounsaturated fat in avocados may help your body to absorb important bioactive carotenoids and reduce the risk of cancer. 4. 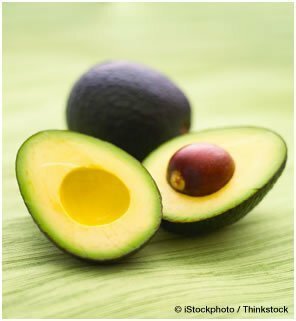 One of the studies showed that the lipids extracted from avocados might prove photo-proactive against the harmful effects of radiation, such as sun damage, inflammation if ingested before exposure. The anti-inflammatory properties of avocados may help to prevent and treat arthritis.